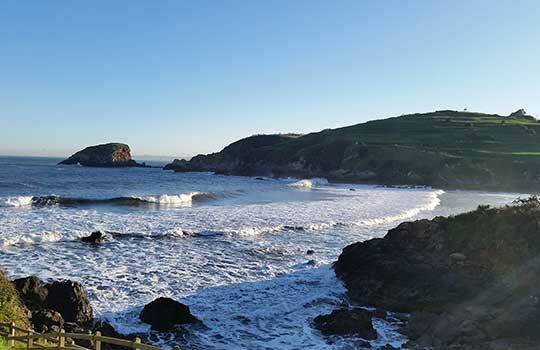 We are located in the central coast of Asturias, called Costa Verde, where nature has a special role. The quality of its beaches far from urban centers, the contrast between the green of the meadows, forests, beaches and cliffs will not be indifferent to the eye of the visitor. 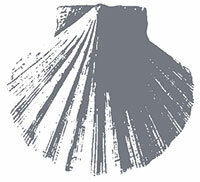 That is the longest of all Asturias with over 3 kilometers of sand. Of the two areas in which it divides, El Sablon and Requexinos , this last one allows the practice of nudism. 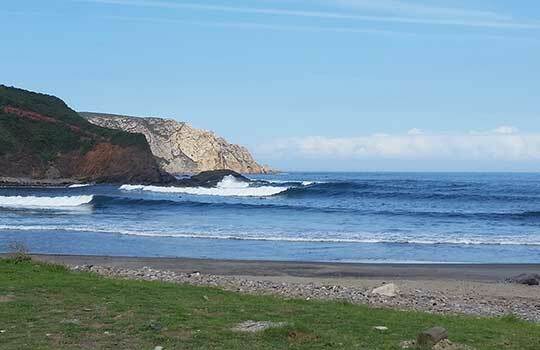 It is one of the few beaches in the Cantabrian coast where there are waves almost 365 days a year. A small cove at the mouth of the creek that bears its name, is haunted by the shellfish in the region for its rich scree where they pick the best seafood in the area. Fully protected from the westerly winds, when heavy swells you can surf a high quality left. Beach sheltered from the wind, surrounded by wooded area. Full of people who seek calmness and, if there is swell,it´s a good place to surf safely. 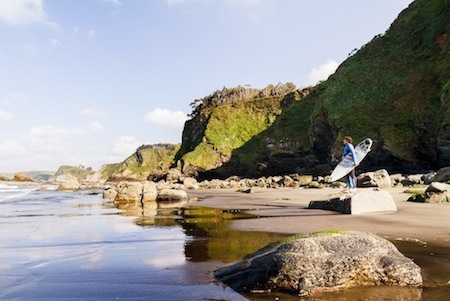 This beach town surrounded by numerous meadows is the most popular with visitors to the area. There are restaurants and all amenities. Very suitable for surfing initiation especially if you want a little more beach environment. Regarding leisure and culture know that everything revolves around the Valley Cultural Center (Piedras Blancas), Oscar Niemeyer Cultural Center (Avilés) and the Palacio Valdés Theater (Aviles). 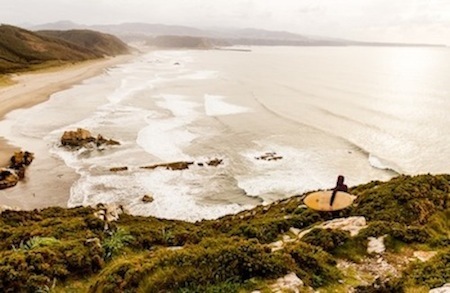 Every week you can enjoy all kinds of cultural events and shows.Another remarkable event is the Salinas Longboard Festival, an international event that brings together many sport activities (competitions, concerts,expositions). There´s no need to explain the history of the North Path from El Camino de Santiago because we´re sure you already know it.In any case it is an excellent excuse to travel, meet people and see landscapes. 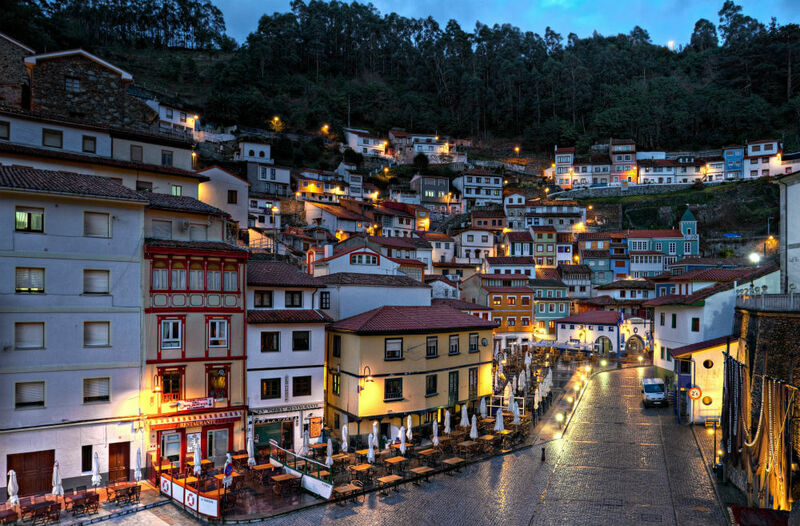 The pilgrim should stop once approaching rural Asturias, that retains the essence of friendly and generous people. 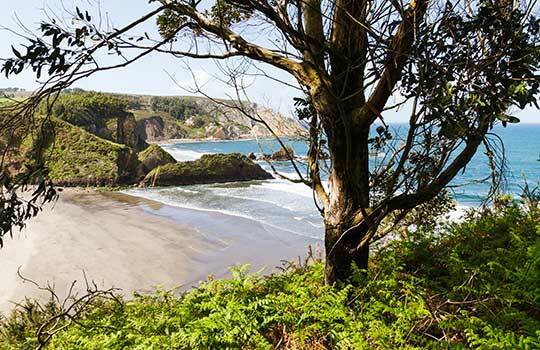 Nature, spectacular beaches and nearby mountains are undoubtedly one of the main attractions of Asturias. We find ourselves halfway from step number 23 between Avilés and Soto de Luiña in the call path north. Since this is one of the longest in the 35km route, we propose a stage Walker shorter (15 km) and a stop at our hostel by the beach, to take a break, enjoy a swim in the sea and recover. To those who do the cycle route stage we propose to extend the No 22 between Gijon and Aviles (25km) and visit the coast ending at our hostel Castrillon rural, here you can find relaxation by the sea and spend the afternoon enjoying the beach and nature. We offer parts for your bike if you come dragging some kind of breakdown too. Adress: Linares 132. Naveces. Castrillón. Asturias.